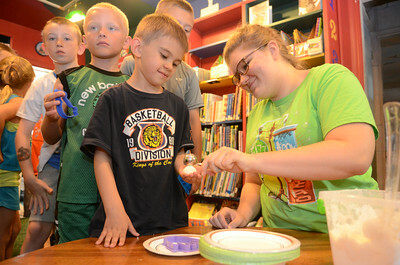 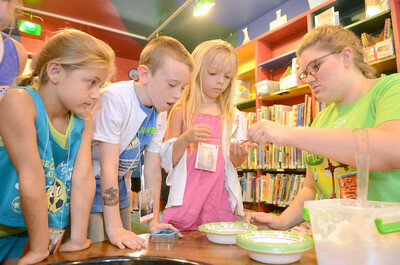 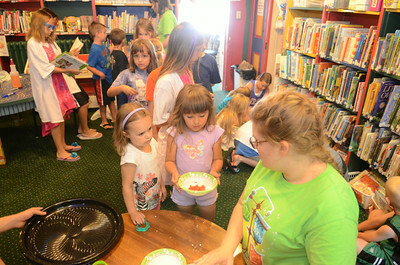 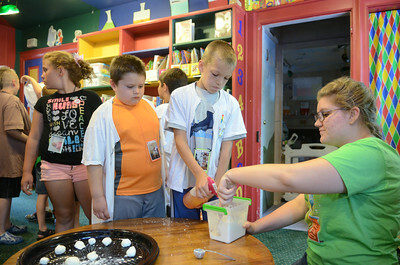 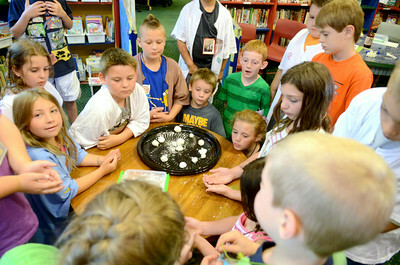 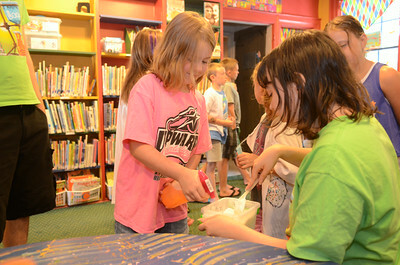 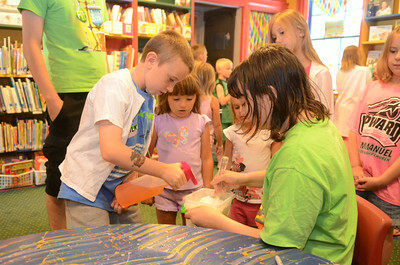 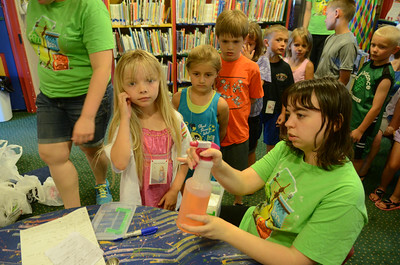 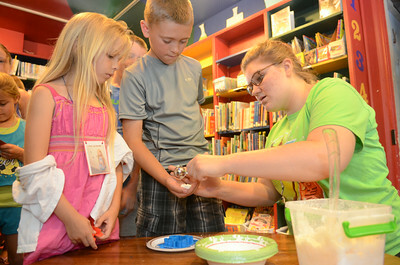 The Priestly Library held a Fizz Boom Reading program on Monday at the library where students did a science project. 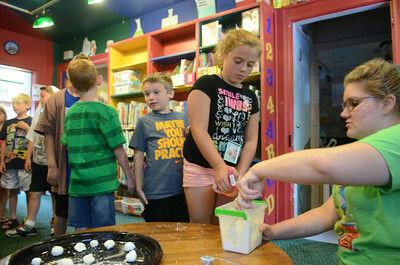 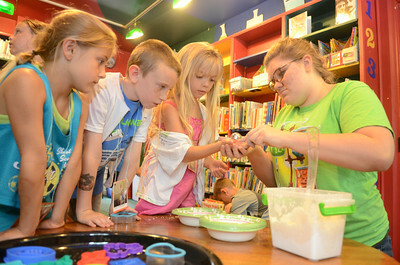 Carly Harter, 6, left, Keegan Gill, 9, and Laurel Ramsey, 6, get their materials from Rebeka Yocum at the Fizz Boom Reading activity on Monday at the Priestly Library in Northumberland. 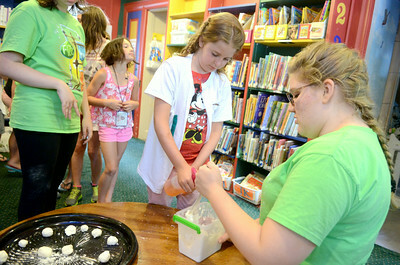 Kids at the Fizz Boom reading program get instructions on their project Monday afternoon at the Priestly Library in Northumberland. 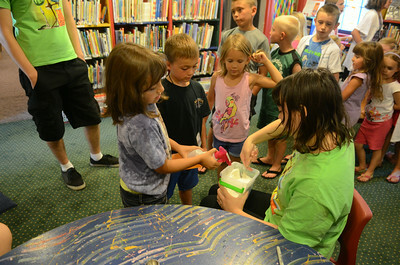 Sekota Golder, 9, sprays water into a powder held by Rebeka Yocum, 17, at the Fizz Boom reading program Monday afternoon at the Priestly Library.